One thing that never crossed my mind when I was dreaming about one day owning my own home, was the amount of maintenance and upkeep a house requires! While of course I love our home, there is a lot that goes into maintaining it - cleaning, gardening, fixing, building, decorating... I do love tackling new projects, but cleaning? Not so much. Can you relate? 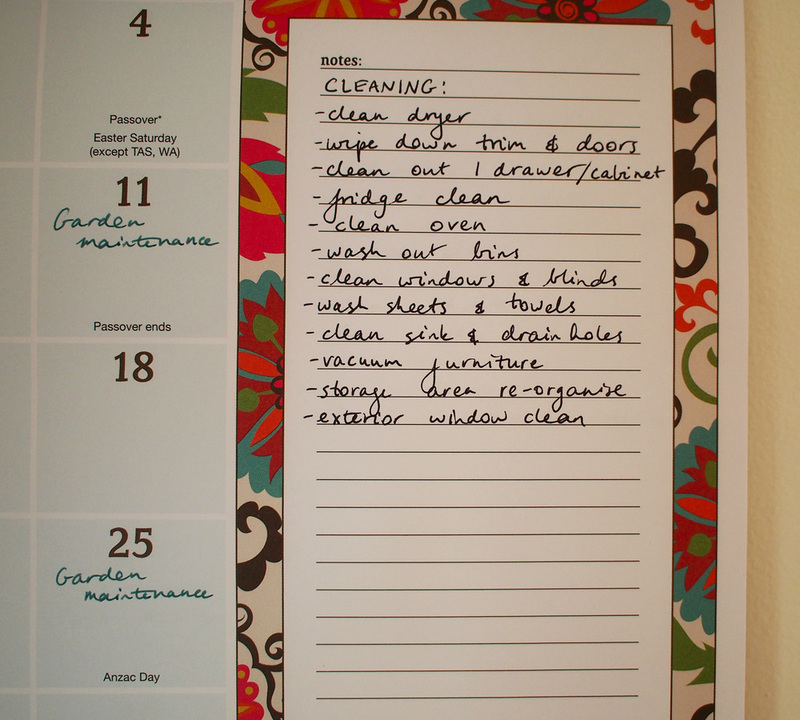 This year, I wanted to try a new approach to household tasks, by utilising the calendar in our command center to track all those cleaning jobs that need to be done throughout the year. The main reason I wanted to spread the jobs out over the 12 months, was to avoid having to do everything in one hit i.e. before our Christmas party or during Spring cleaning season. 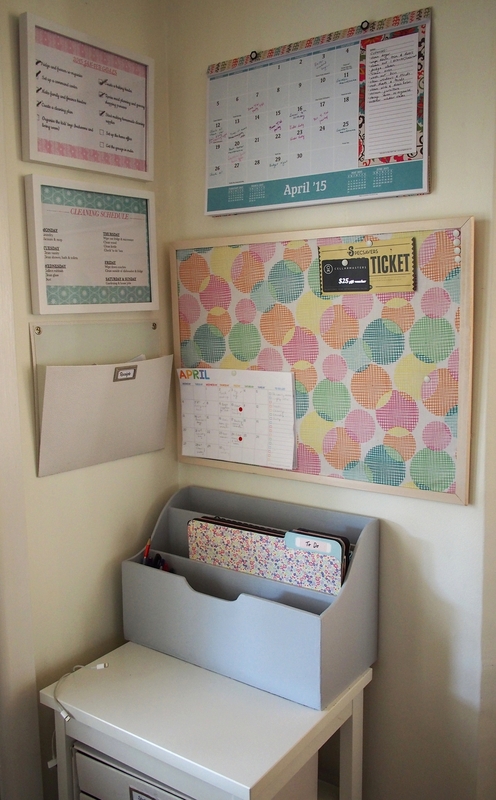 At the start of the year, I was relying on this little zone to keep me organised and on task... Not much going on there, apart from some photos of my gorgeous babies and a calendar that wasn't quite big enough to squeeze in all our activities and household tasks. The makeover of the space into our new command center which I recently shared on an episode of The Organised You TV, is working beautifully. It keeps me on task, organised, and very much list dependent! 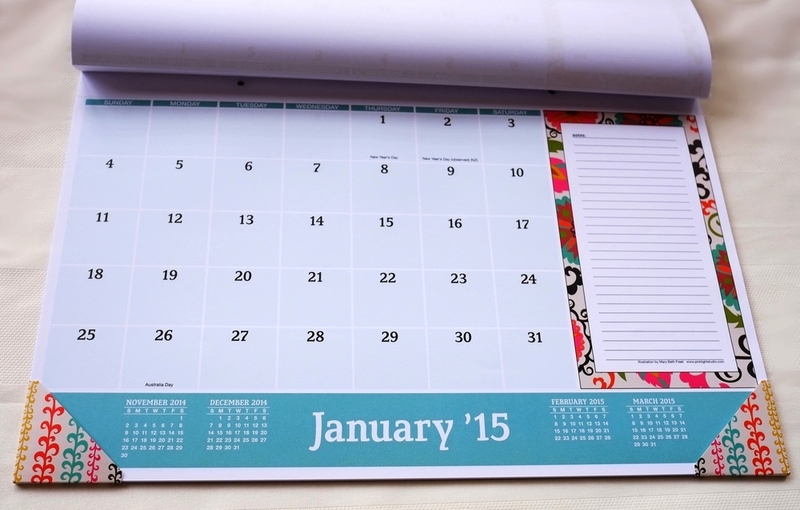 When I was hunting for the perfect calendar late last year, I had quite a bit of trouble finding exactly what I was looking for. I wanted the calendar to be quite large, have daily squares that were big enough to fit lots of info in, and a column down the right hand side to record the cleaning tasks for the month. Of course it also had to look nice! 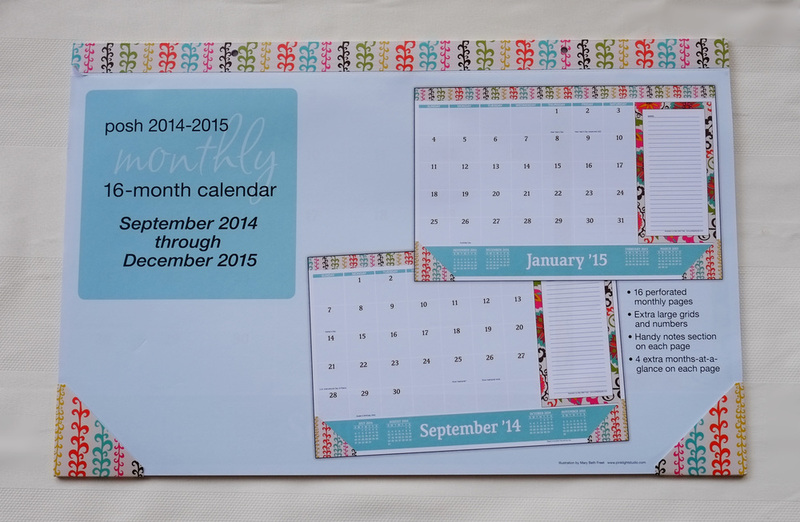 This calendar from Officeworks fit the bill pretty well (no longer there unfortunately). I liked the bright colours and it looks nice above our covered cork board. The side column was also the perfect size to write notes in. 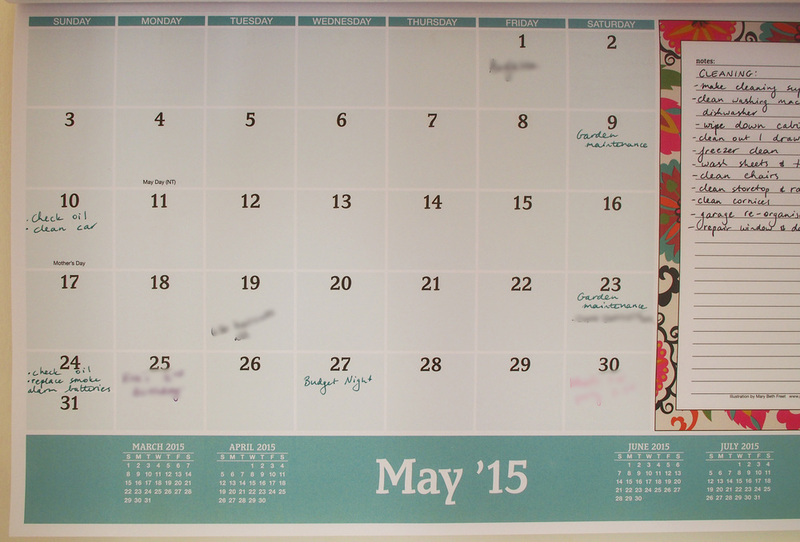 At first I thought it would be best to be able to see 3 calendar months at a glance. After trying this out, though, it felt a bit overwhelming for this small space. 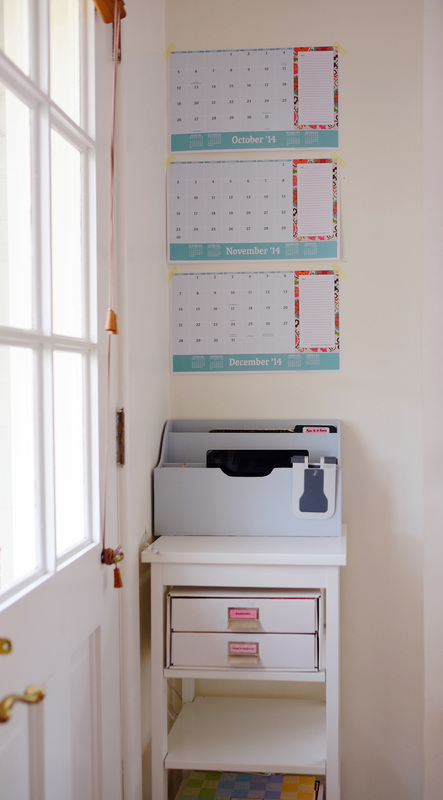 I do think this is beneficial if you've got a larger wall space and/or have very busy schedules - being able to look ahead at what's coming up is a great way to keep everyone on track and organised. The one page view works best for our small space, and I can always flip to other pages if need be. In January I wrote out a list of all the jobs that need to be done on the house throughout the year, and popped this page into our household planner. 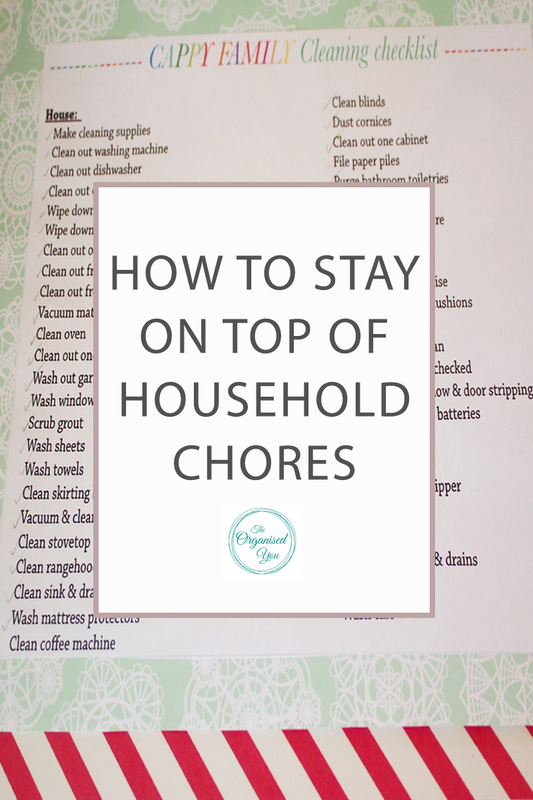 I created this master list by simply going into each room and recording everything that I deemed important or necessary to maintain upkeep of our home. The list would probably differ for everyone. It is really up to you to decide how often you want to tackle each job. 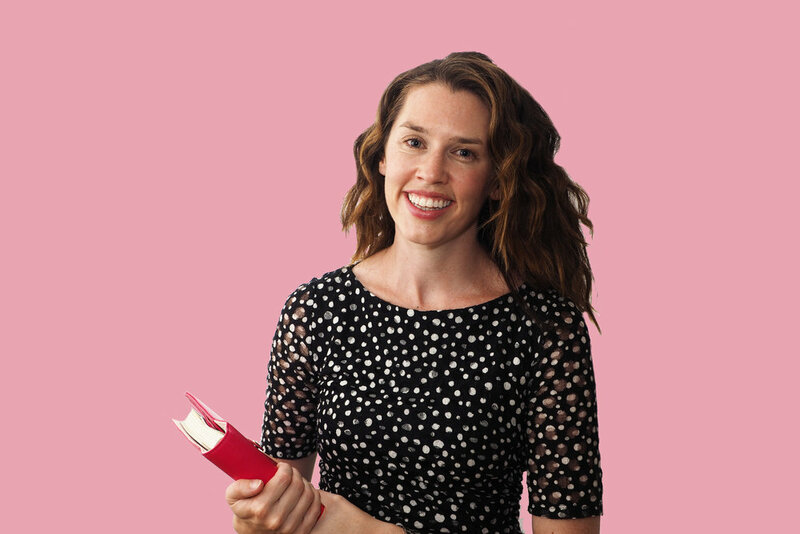 For me, I can't stand cleaning skirting boards so that would only happen once a year, but I am pretty pedantic about doing a thorough clean out of the fridge every month. It's an individual preference for sure. I ended up scheduling the gardening jobs and car maintenance on the actual calendar for every fortnight. 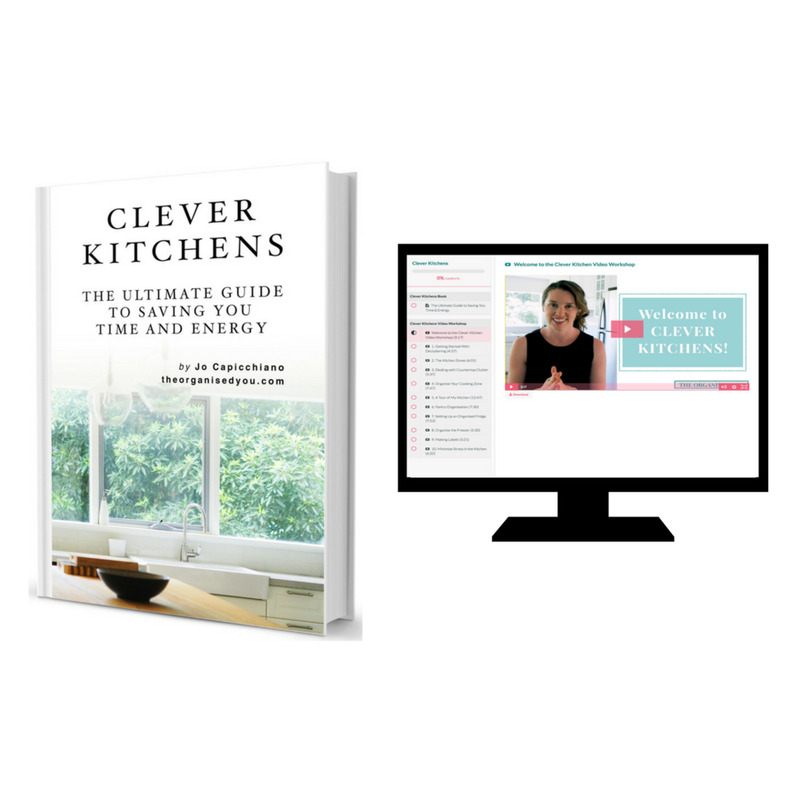 >> Want to learn how to plan, prioritise and organise your time better? The Productivity Pack will help create more calm and order in your life... and it's only $7!